Many people are watching so the video may take up to 10 seconds to load. Get Started With Any Of Our Products Now. 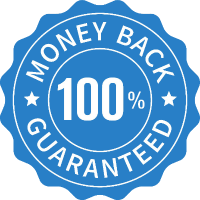 You're protected by our 60-Day Money Back Guarantee so there is zero risk to you. Simply try it out and if you are not absolutely satisfied with your results, then just send us an email and we will give you a 100% refund, no questions asked.